KB Journal welcomes new site users, who are free to comment on articles and use other site features. 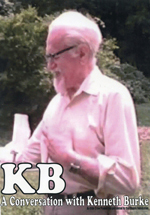 We respectfully request that you use the site responsibly and that your comments reflect the spirit of inquiry, dialogue, and debate that was Kenneth Burke&#39;s guiding principle. Please enter your first and last name. Computer-generated pseudo-entitlements will be rejected. You must enter a first and last name or your account will be blocked. Names are not made public.